Need Truck Trailer Fasteners? Look No Further Than Engineered Components Company! Are you looking for high-quality truck trailer fasteners? Do you need a solution that is corrosion resistant, extremely rugged, and long-lasting? Do you need to buy fasteners in large quantities? If you answered yes to any of these questions, Engineered Components Company can provide you with the products and services that you need. From tamper resistant nuts and corrosion-resistant fasteners to encapsulated T-nuts and custom bolts, we’re well-positioned to deliver what you need, when you need it. In today’s post, we’re going to look at a few of the options that we have available for all of your truck trailer needs. First and foremost, we offer the absolute best truck trailer fasteners in the business. If you’re looking to build new trailers or repair your old trailers, you can be confident that we have the products that you need. Whether you need high corrosion resistance or long-term durability, we’ve got what you need. 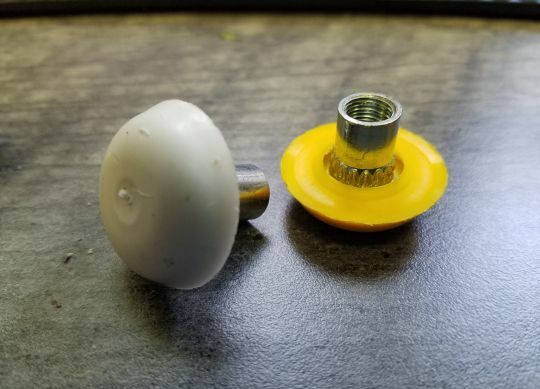 One of our flagship products, our encapsulated T-nuts have the same rugged qualities possessed by our other fasteners but also offer you the ability to maintain a consistent look. With the ability to match a wide range of colors, you can be certain that we’ll help you maintain the aesthetic appeal and branding of your vehicles. At Engineered Components Company, we uphold strict standards of quality and customer satisfaction. Our goal is to help every single one of our customers find the fasteners and fastener products that they need to complete their project. If you’ve been searching for a fastener supplier that will work with you to understand your needs, work out solutions to the challenges that you are facing, and deliver those solutions on time, every time, contact us today to discuss how we can help.